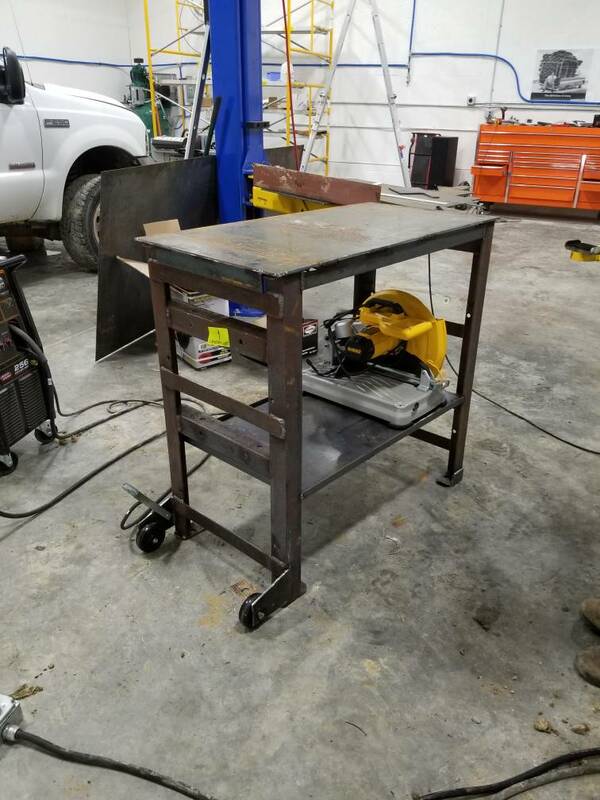 This welding cart is the nicest thing I have ever bought from Harbor Freight. It is stout and the drawers are VERY nice. Highly recommended. As for a bench you can buy quick clamps on mcmaster and have a sheet of 3/8s plasma cut to utilize them. 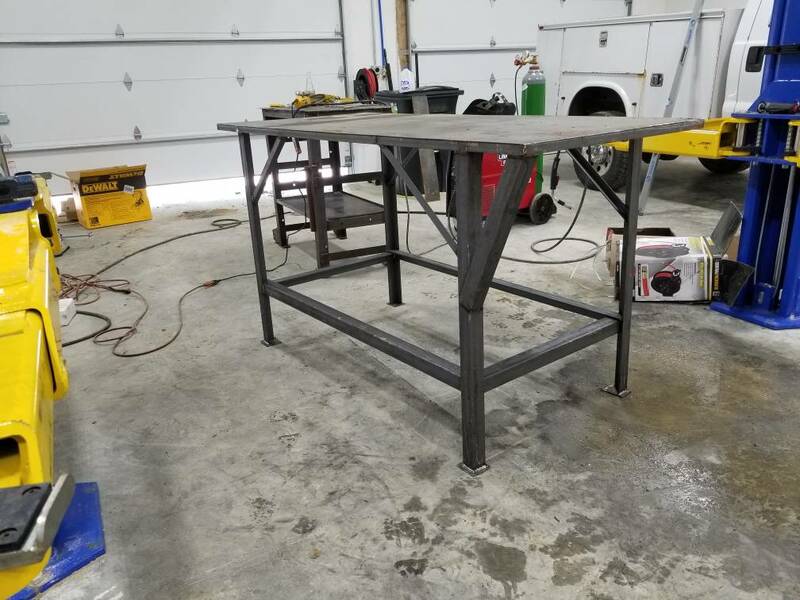 Rolling fab table and bench we just made at buddies shop. this one this guy builds is sweet.